3 Bicchieri - "Gambero Rosso Guida Vini d'Italia"
"Falstaff Magazin" has rated the wine "Mazzei Castello di Fonterutoli 'Siepi' Toscana IGT, Tuscany, Italy" the vintage 2013 on 10.02.2017 with 95 of 100 points. "Wine Spectator" has rated the wine "Mazzei Castello di Fonterutoli 'Siepi' Toscana IGT, Tuscany, Italy" the vintage 2013 on 15.10.2016 with 92 of 100 points. "Wine Spectator" has rated the wine "Mazzei Castello di Fonterutoli 'Siepi' Toscana IGT, Tuscany, Italy" the vintage 2012 on 31.10.2015 with 92 of 100 points. "Robert Parker The Wine Advocate" has rated the wine "Mazzei Castello di Fonterutoli 'Siepi' Toscana IGT, Tuscany, Italy" the vintage 2013 on 30.10.2015 with 95 of 100 points. "Wine Enthusiast" has rated the wine "Mazzei Castello di Fonterutoli 'Siepi' Toscana IGT, Tuscany, Italy" the vintage 2012 on 08.01.2015 with 91 of 100 points. "Wine Spectator" has rated the wine "Mazzei Castello di Fonterutoli 'Siepi' Toscana IGT, Tuscany, Italy" the vintage 2011 on 31.10.2014 with 92 of 100 points. "Vinous Antonio Galloni" has rated the wine "Mazzei Castello di Fonterutoli 'Siepi' Toscana IGT, Tuscany, Italy" the vintage 2010 on 01.09.2014 with 94 of 100 points. "Wine Spectator" has rated the wine "Mazzei Castello di Fonterutoli 'Siepi' Toscana IGT, Tuscany, Italy" the vintage 2010 on 30.04.2014 with 93 of 100 points. 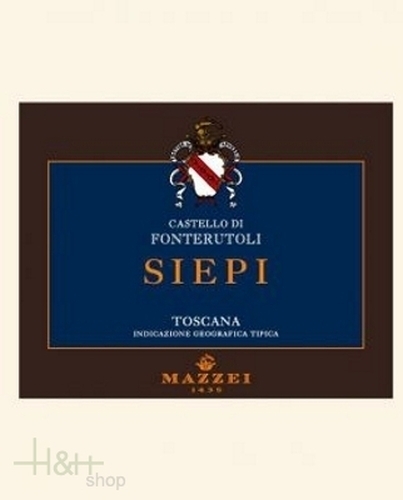 "Robert Parker The Wine Advocate" has rated the wine "Mazzei Castello di Fonterutoli 'Siepi' Toscana IGT, Tuscany, Italy" the vintage 2010 on 29.08.2013 with 95 of 100 points. 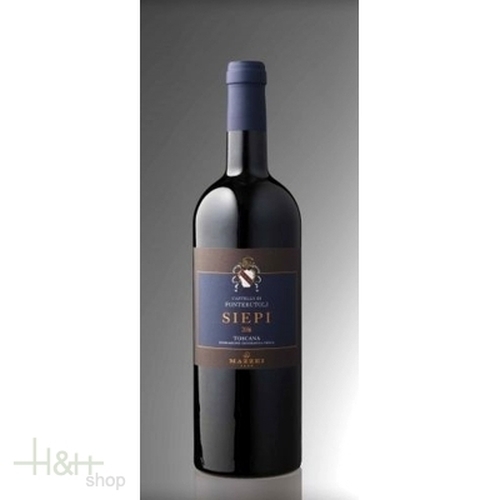 "Luca Gardini" has rated the wine "Mazzei Castello di Fonterutoli 'Siepi' Toscana IGT, Tuscany, Italy" the vintage 2010 on 01.12.2012 with 93 of 100 points. "Wine Spectator" has rated the wine "Mazzei Castello di Fonterutoli 'Siepi' Toscana IGT, Tuscany, Italy" the vintage 2008 on 15.10.2012 with 93 of 100 points. "Wine Enthusiast" has rated the wine "Mazzei Castello di Fonterutoli 'Siepi' Toscana IGT, Tuscany, Italy" the vintage 2008 on 02.01.2012 with 93 of 100 points. "Vinous Antonio Galloni" has rated the wine "Mazzei Castello di Fonterutoli 'Siepi' Toscana IGT, Tuscany, Italy" the vintage 2008 on 01.08.2011 with 92 of 100 points.